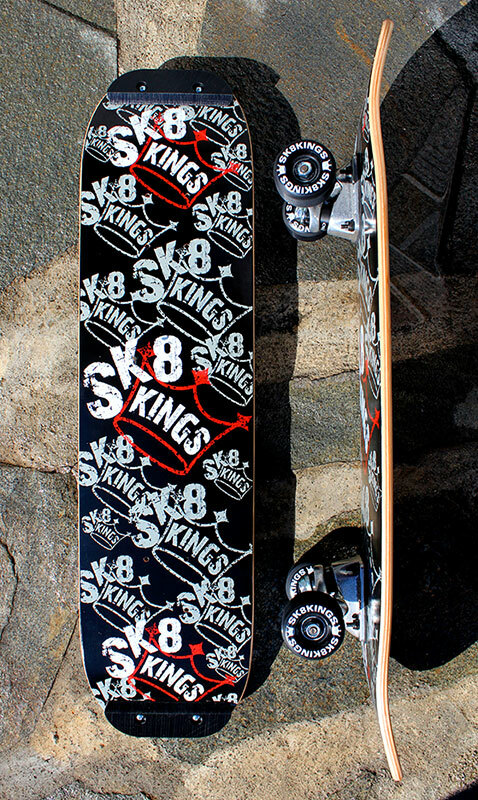 The Crown deck is pressed from our custom SK8KINGS molds -- featuring mellow concave and blunt double kicks for excellent performance across the board. The shape features a symmetrical shape with 5 3/4" nose and tail. Deck sold alone or with optional grip tape and/or skid plates. 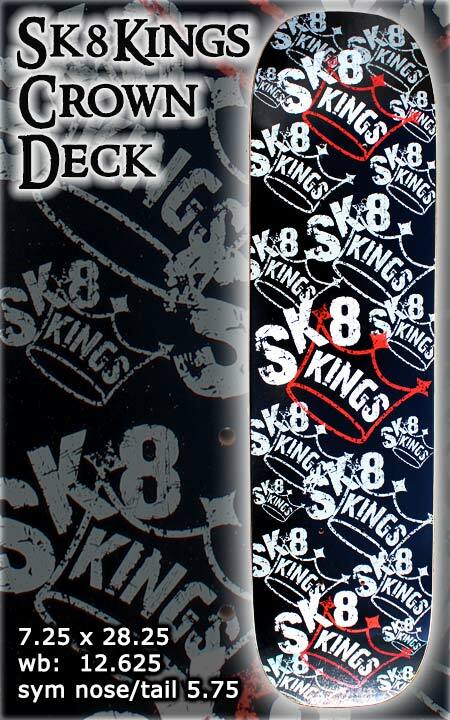 DECK SPECS:Overall dimensions: 7.25 x 28.25, wb: 12.625, sym nose/tail 5.75. Crafted from 7-ply hard rock maple in So Cal USA and featuring full board bottom Crown graphic. 100% Made in USA. Deck ships with FREE stickers. Optional Upgrades: Skid Plates: Add a set of our King Plate II skid plates to protect and add longevity to your deck. Grip Tape: Add a sheet of black grip tape for your deck. Choose upgrades when ordering -- additional charge applies. Note: Skid plates and grip tape come unapplied unless you request otherwise in the notes section. Logo Tee/Hoodie/Hat: Save $5 on a logo T-shirt, Hoodie or Hat when ordered with a deck or complete. Choose the item to add and indicate logo choice and size in the notes section when ordering. 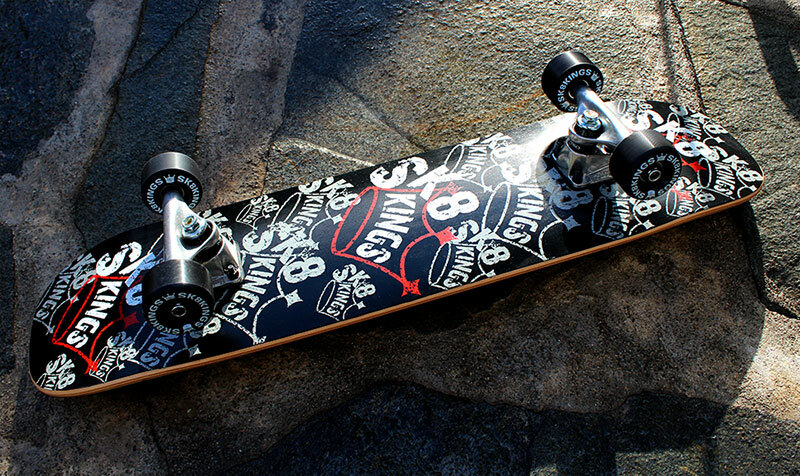 COMPLETES: Order your Crown FS setup ready to ride out of the box. See complete option below.